Finally October is upon us and now that summer is officially over the temperature has started to decrease slowly and we also witness the beginning of the rainy period in Malta, making it ideal for country side walks. The sea however is still warm in this time of the year, at around 25ºC, this makes it suitable for sea lovers to still enjoy a day by the sea side. Birgu is one of the three historical cities located just opposite Valletta. 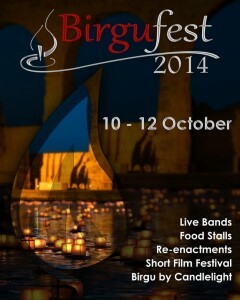 During the 2nd weekend of October, Birgu is transformed into a candle light wonderland. As night falls, all of the street lights are turned off and the whole town is completely light up by candles. This really gives stunning effects as if you are travelling back in time as the narrow streets and old houses create the perfect ambiance. The whole community comes alive as Churches and museums are open for the public including food stalls and live bands. Truely a night not to be missed if given the opportunity to visit. Mdina, the old capital of Malta is situated in one of the highest central points in Malta. This not only creates breath taking views but also exceptional conditions for hill climb racing. 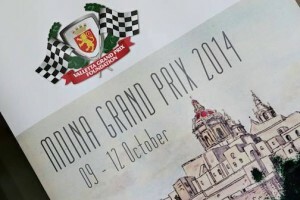 Every year in October the Mdina Grand Prix is organized. Here you will find your selection of classic sports cars and more modern ones all lined up for a tire smoking, petrol fuelled weekend. You will also find your older classic cars all polished up ready for their photo shoots. Click on the link below to find out what’s going on. 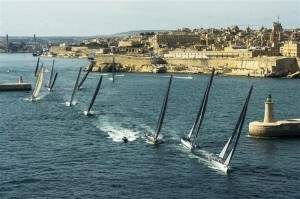 This year, the Rolex Middle Sea Race has its 32nd anniversary. From Valletta’s harbour, about 70 cruisers embark on a 606-sea-mile journey to pass the Strait of Messina along the eastern coast of Sicily. The trip continues around Stromboli, Favignana and Pantelleria on Sicily, and then back to Malta through Lampedusa. The different landscapes and textures of the sea make this race a particular challenge and attraction! We all know that October is the month of Halloween, a tradition celebrated throughout most of the world. We have larger celebrations in Malta, however over the years Halloween theme parties are picking up, so if you’re into dressing up and a spooky night out, you’re most certainly covered for. Get funded by your boss, here’s what you need to know. A trip to Malta 5D and Valletta.